I went to a friends' house for game night last night. We had a good time playing board games, and just having a good laugh at each other. 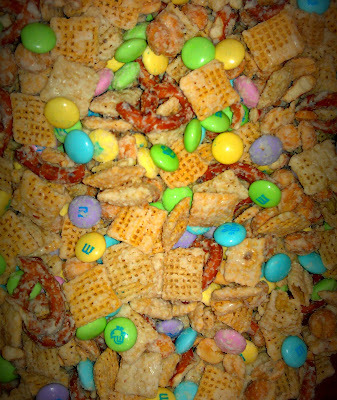 I never feel right going to someone's house empty handed, so, I made a Springtime snack mix. 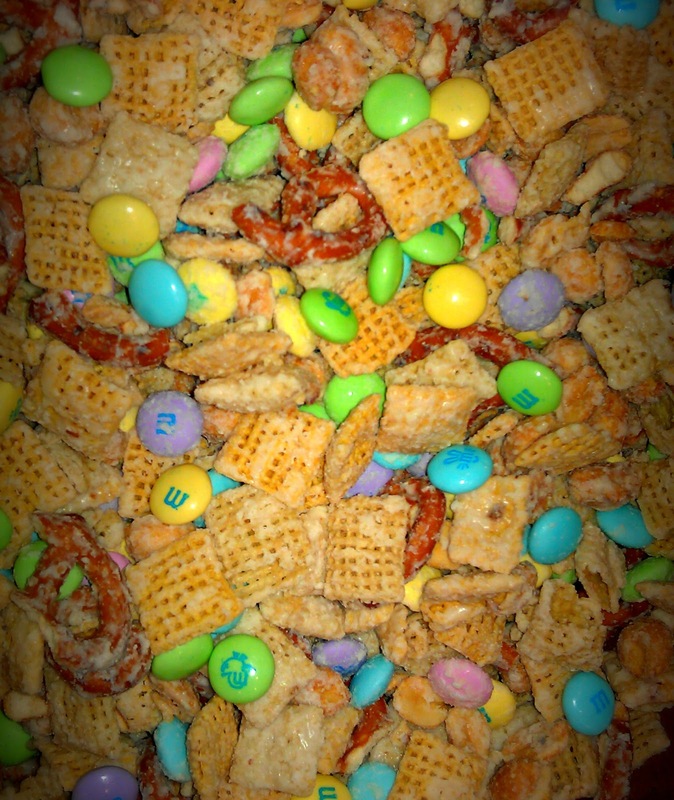 I love this snack mix because it's sweet and salty. Remember, all that free cereal, I won? Well, what better way to use it, then to turn it into junk food! Combine cereal, nuts, and pretzels in large bowl. Mix in melted white chocolate until lightly coated. Stir in M&Ms. Spread on cookie sheet to cool. Enjoy! Sounds delicious and easy! Thanks for the recipe!! I wish I could try this.